My resolution of finishing projects lasted about as long as most resolutions do. I’m only one button band away from finishing one sweater, and one sleeve from finishing another, but I felt the lure of madelinetosh yarn. This color is magical. Not violet, not grey, not silver, but a beautifully lustrous combination of all three. It looks a bit like cloudy skies. One of these days I will stop petting it and actually knit with it. That is a beautiful colour! What are you going to make with it? A colleague brought in a skein of madelinetosh and I wanted to grab it and run! 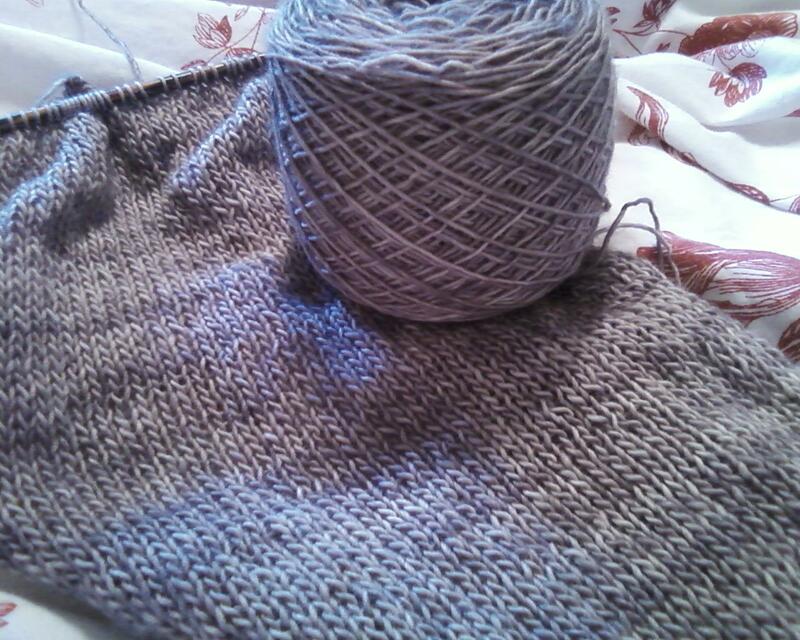 I have yet to know the pleasure of knitting with it myself so I’ll have to live vicariously. Can’t wait to see what the finished product will be…you will finish right? Paul – I’m done now. It’s a scarf with a little ruffle. I just need to take photos – it’s such a beautiful color. I finished the scarf! Must take photos now – my poor Ravelry page is littered with finished projects that I haven’t managed to snap pictures of.